Changelog 1.12 Deploy! Drive! Destroy! Welcome to the Update 1.12 – “Deploy! Drive! 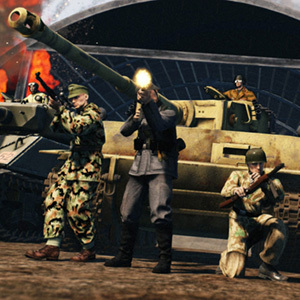 Destroy!” – the largest gameplay update for Heroes & Generals since launch. Read below for an overview of what is new in Update 1.12, or scroll down for the full changelog. 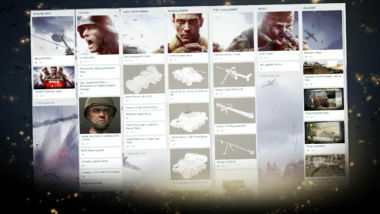 Introducing a new, simpler and more flexible Deploy System making it easier to setup a squad with your friends and to play the soldier you want to play in battle. Start combat as – for example – Infantry, but switch to Pilot, Recon, Paratrooper or Tanker if that’s what it takes to win the battle. The choice is yours! All vehicle models have been fitted with a completely new armor system based upon real life properties. Now it really DOES matter WHERE and HOW you attack an enemy vehicle. Or you can try to wear down the armor with a barrage of bullets. And the skilled tanker that knows his vehicle, its armor and possible weaknesses also knows how to be durable, dangerous and deadly on the battlefield. 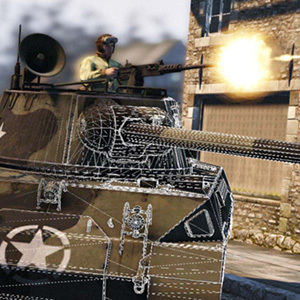 Damage or immobilize vehicles with critical hits to components such as engine, transmission, fuel tank or ammunition, gun turret, wing, rudder and so on. You might not need to blow up enemy tanks – using your light tanks and destroying their tracks could make all the difference in the war. Every vehicle ranging from large heavy tanks to the ordinary civilian bicycle have had their physics redone and handling updated. We tweaked all vehicles in Heroes & Generals to make them feel more authentic while keeping a balance between realism and fun to drive. A new terrain system implemented on all maps makes sure that roads, grass and mud affects your driving just like you would expect. A total of 11 different terrain types have an impact on the speed and handling of your vehicle. So make sure to adjust your tactics to your choice of wheels. We have reduced waiting time by 30 second when launching a battle letting you get to the action faster. 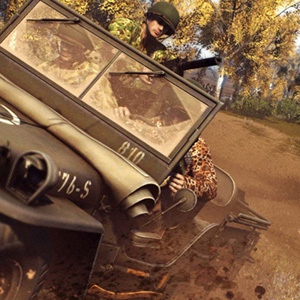 We have also removed restriction of equipped vehicles based on category so you now have the freedom to bring the vehicles you want into battle. And as a nice little detail, destroyed vehicles now leave behind a wreck that can be used for temporary cover. A huge THANK YOU goes out to all of you who played the early versions of the Update 1.12 on our Prototype Server and provided us with valuable feedback. Also a big shout out to all members of the Reto Reference Regiment who helped us do research on vehicle properties. You guys rule! 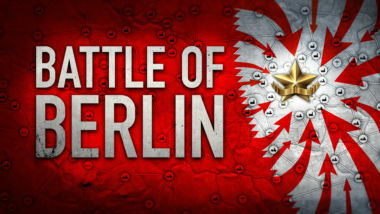 Join the war and experience the awesome new update now! The updated sound engine (FMOD) may still cause issues related to volume over distance (attenuation) for vehicles and weapons on some sound cards. We are keeping an eye/ear on this. AsusTek Sonic Studio 2 OSD (SS2OSD.dll) can cause crashes. We recommend you disable it if you encounter crashes. Nahimic OSD (Nahimic2OSD.DLL) can cause crashes. We recommend you disable it if you encounter crashes. Fix for memory leak in some objects paint job selection, leading to degraded performance over time. Send more mission data with action game start and shut down events. Fix for grenades and bazookas being heard over too long distances. Adding missing collision events for some fast-moving vehicles. Changed plane vs ground damage to be small at low speeds and high at high speeds, up to 2.3x damage of before. Changed plane vs plane damage to be proportional with movement direction: Head-on impacts will deal extra high damage (up to 8x damage), while parallel direction impacts will give low damage, allow nearby plane to touch without blowing up immediately. Changed plane vs vehicle damage so planes receive 5x more damage. Disable friendly damage reduction for collisions involving planes. Raised offclass extra equipment field maintenance load for tankers, pilots, paratroopers, and recon to reduce ‘specialist spam’. 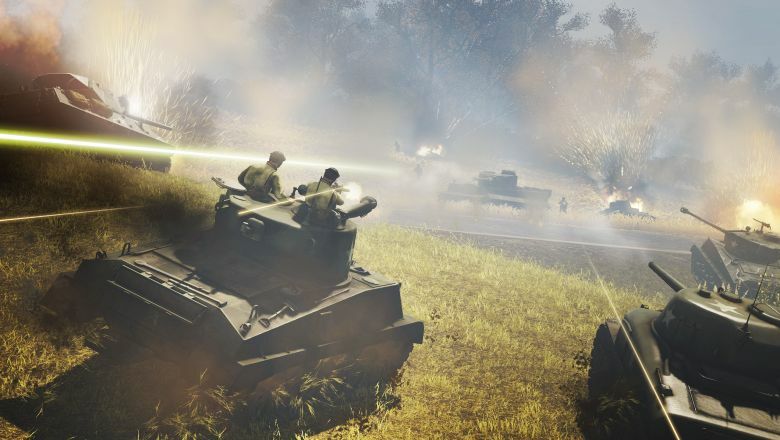 Collision changes to M2A2 and Hellcat, and minor collision changes to T-34/76, T-34/85, Panzer II L. To prevent the M2A2 and Hellcat from easily flipping other tanks. Other players’ impact decals (bullet holes) are only drawn in a 50m radius of you, decals generated by your weapons are drawn at all distances. This improves framerate for most players. Fix for matchmaker sometimes sending players to battles that just ended. On bulletin screen, the changelog now has a label identifying it as "CHANGELOG"
Windscreens no longer block bullets. They will still block blast and grenades. Thank you to those who reported! Armor component messages are now combined if you have multiple messages within 3 seconds. Armor Damage messages are combined into one, Component Damage are combined into one and Components Detroyed are also combined into one. Thank you to those who reported! Vehicle component damage to vehicle hitpoints is now normalized, so the maximum hitpoints the vehicle can lose from one component type is based on the max from one. E.g. if a vehicle has 2 ammo compartments (one that can transfer 1000 dmg and another that can transfer 500 damage), then the total they can transfer is 1000 where the large one can transfer 666 and 333 for the small one. "Destroyed gun breech, now reduces rate of fire and reload speed. 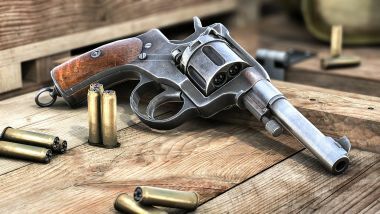 Detroyed barrel, now reduces muzzle velocity and increases cone fire"
Bug Fix: Game sent crashlog when player logged out while action game is loading. Bug Fix: A bug in the recoil system lead to a ‘jagged feel’ in recoil. Field Maintenance implemented and replacing previous deploy delay systems. All soldiers, weapons, vehicles, etc. now have a Field Maintenance Load (value in seconds). When you lose/undeploy soldiers, equipment and vehicles in battle, you put load on the “imaginary crew” working to get your gear ready. As a rule of thumb the biggest and deadliest gear you lose, the more load you generate. For a player to deploy soldiers, weapons and vehicles, the load cannot be larger than the player’s available Field Maintenance “capacity”. This “capacity” builds up over time. 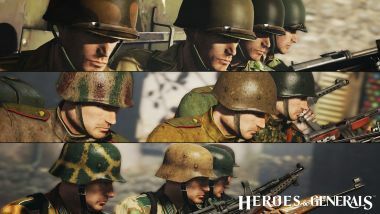 If players are not able to deploy their heavy gear, they can choose to deploy a lighter vehicle/loadout, deploy as a support gunner or deploy as another soldier type such as infantry while capacity builds. The aim of the new deploy system is to balance the battles making room for a more diverse selection of loadouts and vehicles in combat. Removed restriction of equipped vehicles based on category. You can now equip up to four vehicles, regardless of category. Added new Field Maintenance UI – showing the Field Maintenance Load values for equipment and vehicles. Added a darkened timer overlay on vehicles in the loadout to indicate whether they’re ready for deployment or not. If unable to deploy, the info area shows how much time is left. Updated animations for soldier interactions with all Light, Medium, Heavy Tanks and Tank Destroyers. Changed deploy point behavior. Clicking on a deploy point no longer requires the player to select vehicle type afterwards, but deploys the player immediately with the method currently selected in the soldier menu. If the selected vehicle is not ready, the deploy point shows the amount of time before the vehicle is ready. Made it easier to deploy in a squad member’s vehicle. Click their vehicle, then click the soldier to deploy in the vehicle. Mobile deploy in an Infantry Support Vehicle is disabled when an enemy with line of sight is nearby the vehicle. Added new handling system to all vehicles for a better and more intuitive feel. Both wheels and tracks now interact better with obstacles, so you don’t get stuck as easily. Cruising speed has been increased to make it easier to maintain a driving speed level below maximum. Germany – Added two-track-handling to Tiger 1, Tiger 2 and Panther. – Can turn on the spot – Very little speed loss while turning, larger turn radius at speed. Germany – Added one-track-handling to all track-based vehicles, except for the three mentioned above. – Can turn ALMOST on the spot – Speed loss while turning – Great turn boost when at speed. US – Added differential handling to all track-based vehicles – Will need a larger circle to turn – Little speed loss while turning – Turn boost when at speed. Soviet – Added one-track-handling to all track-based vehicles – Can turn ALMOST on the spot – Speed loss while turning – Great turn boost when at speed. Vehicle physics: New unified system for all vehicle physics using updated PhysX version. Vehicle handling is impacted by the terrain – the following terrain materials have been implemented: Asphalt, Cobblestone, Grass Field, Corn Field, Dirt Road, Loose Dirt, Sand, Dirt, Forest, Rock, Swamp. New Armor Penetration and Wear system added. Armor can be worn down (to 50% effectiveness) by damage even though the damage does not penetrate. Repairing a vehicle repairs base structure and components but NOT worn armor. This is to give weaker vehicles the ability to permanently hurt stronger vehicles. Different particle effects added to show what part of a vehicle is hit. Engine damage results in White Smoke and max speed reduction. Track damage results in visibly damaged tracks and reduced speed of the affected track. Gun Breech damage disables the gun. Ammunition storage damage results in an explosion of sparks and a large amount of damage to the vehicle. Turret Ring damage results in sparks and reduces the turret rotation speed. Fuel storage damage results in a fireball type explosion and a large amount of damage to the vehicle. Wheel damage results in visible wheel damage and reduces speed and handling. Transmission damage shows an explosion of sparks, and reduces Max Speed. Plane wing damage adds camera shake when rolling and decreases handling. Plane elevator damage adds camera shake when changing pitch and decreases handling. Plane rudder damage adds camera shake when changing yaw and decreases handling. When two vehicles hit each other damage now affects the areas collided instead of entire vehicle health. Destroyed vehicles leave a wreck behind. Wrecks are burning to indicate they are wrecks. The fire goes out before the wreck disappears. Equipment point and Command point UI has been updated to make it easier to read. Rank progress updated to appear as a bar beneath the soldier name. Instead the new deploy system lets you deploy any of your soldiers in combat if resources are available. Icons and buttons aligned properly. “Change soldier” button only shown when needed. Squad Upgrade points changed to give XP bonus to squad members. Show custom squad name before starting matchmaking. Allow renaming during this time as well. Fixed squad name when you’re in somebody else’s squad. The sound engine (FMOD) has been updated to the newest version. Reduced waiting time when launching action game by 30 seconds. Improved the undeploy function based on player feedback. We have now added a timer requiring the player to stand still for 10 seconds before undeploy occurs. Timer cancels if player moves or suffers damage. Looking around or being in a moving vehicle does not affect the timer. As undeploying abandons vehicles it does add a field maintenance load. Default key is still F11. Improved Chinese localization。Special thanks to LCATD, 你四叔忽然 and all the players that provided feedback and improvement suggestions. – grab your gear and enter combat!